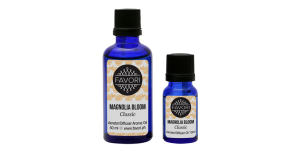 A classic scent from the purest flower, the fragrance of Magnolia Bloom invokes feelings of self.. While it cools you down, the aroma of peppermint promotes vigor and mental alertness. Rel..
One of our best sellers. Hold on to summer and nautical memories with a wave of serenity in a clea..
Soothingly warm, this fragrance gives out a homey and pleasurable feeling. Vanilla is considered a..